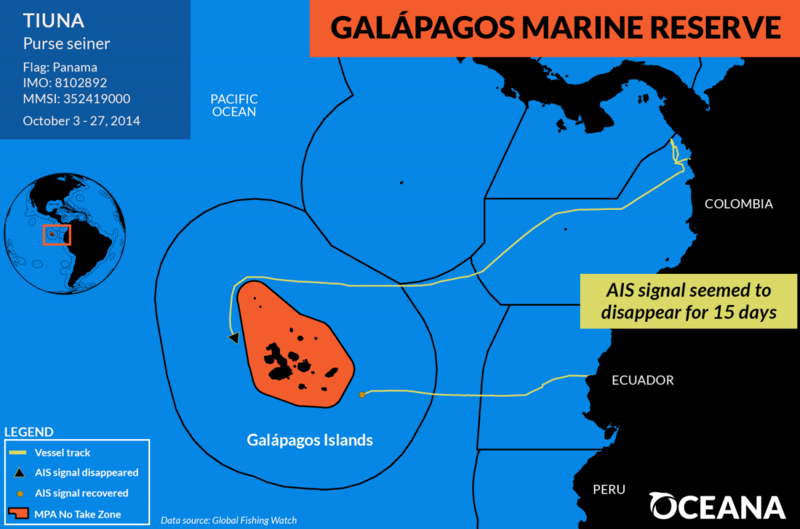 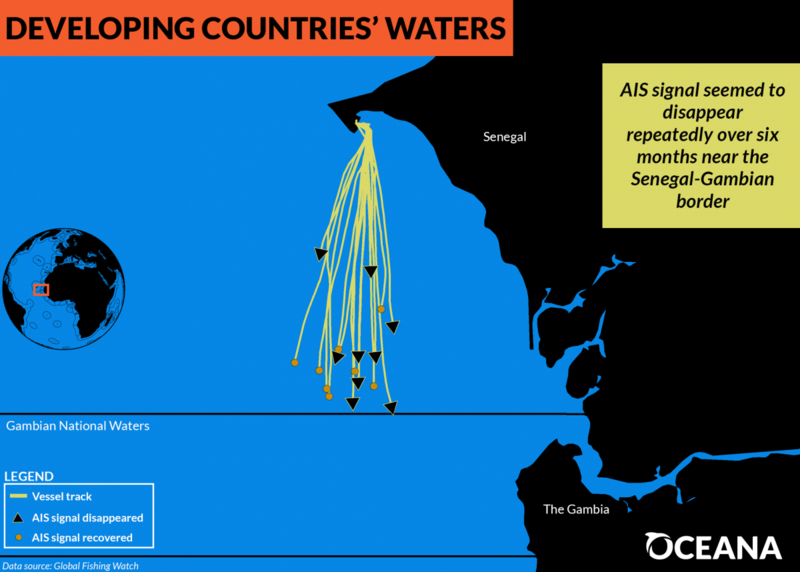 Oceana's investigative report highlights four commercial fishing vessels that appeared to turn off their public tracking systems--a potentially questionable behavior known as going dark at sea. 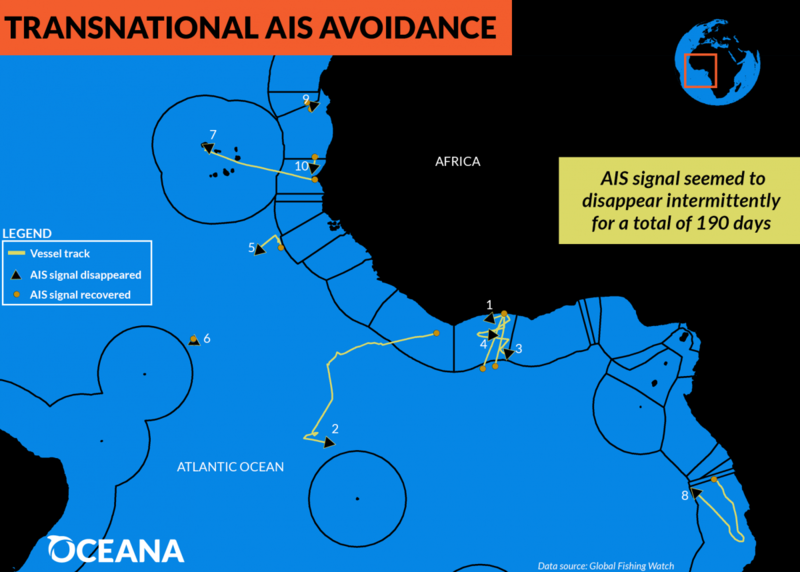 While this public tracking system, called the Automatic Identification System (AIS), was initially designed as a safety mechanism for vessels to avoid collisions at sea, it can also be used to monitor and track vessel movements over time. 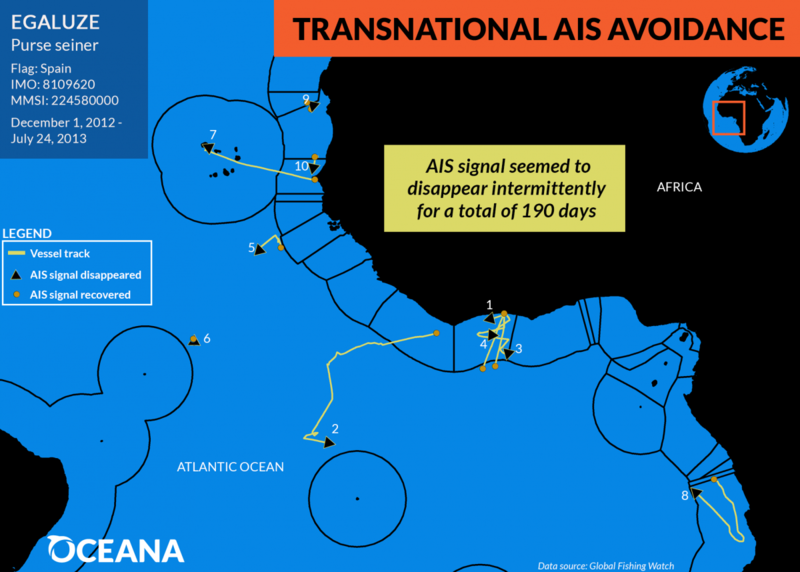 A ship’s crew may turn off its AIS broadcast for a variety of legitimate reasons, but this behavior may indicate that a vessel is hiding its location and identity to conceal illegal activities like fishing in no-take protected areas or entering another country’s waters without authorization. 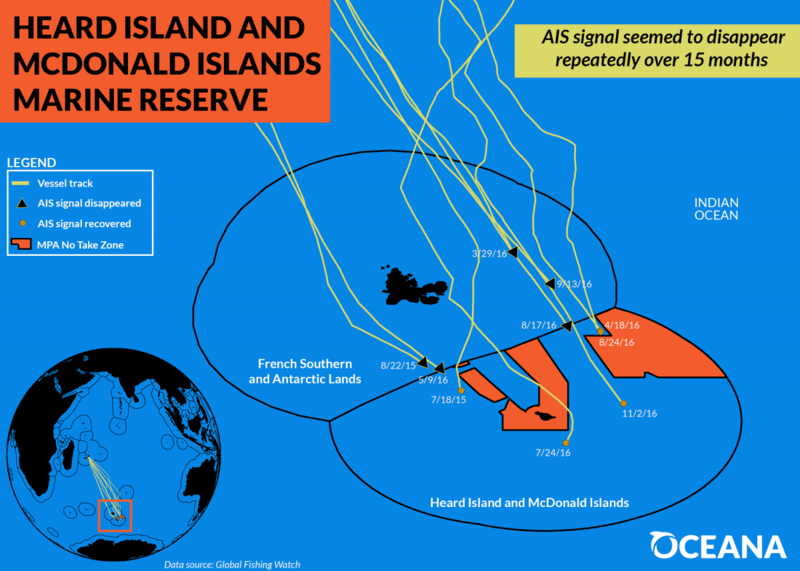 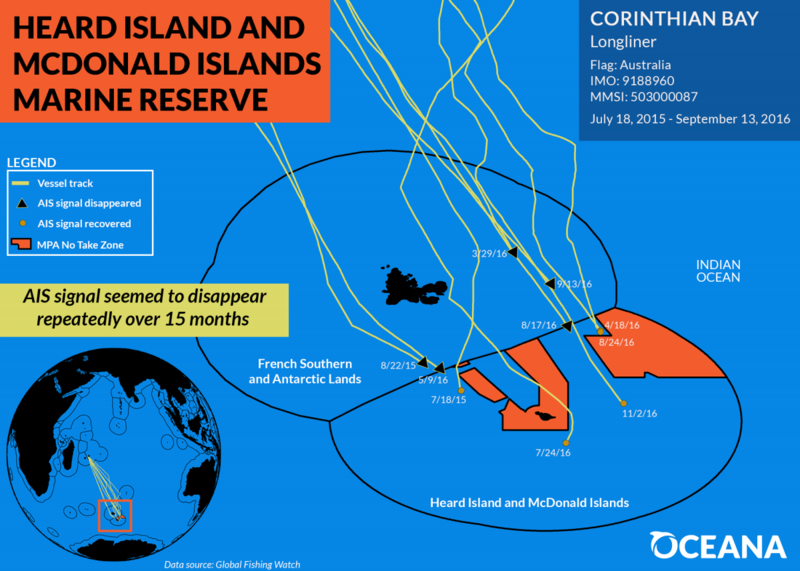 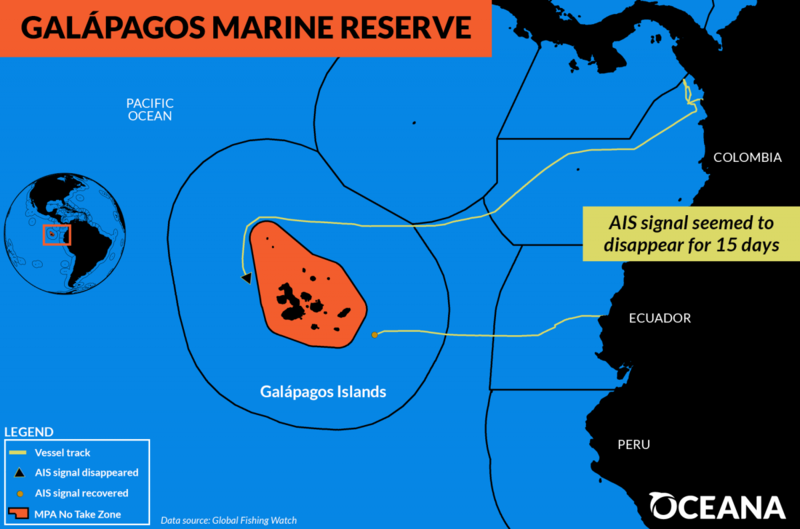 View the full AIS infographic. 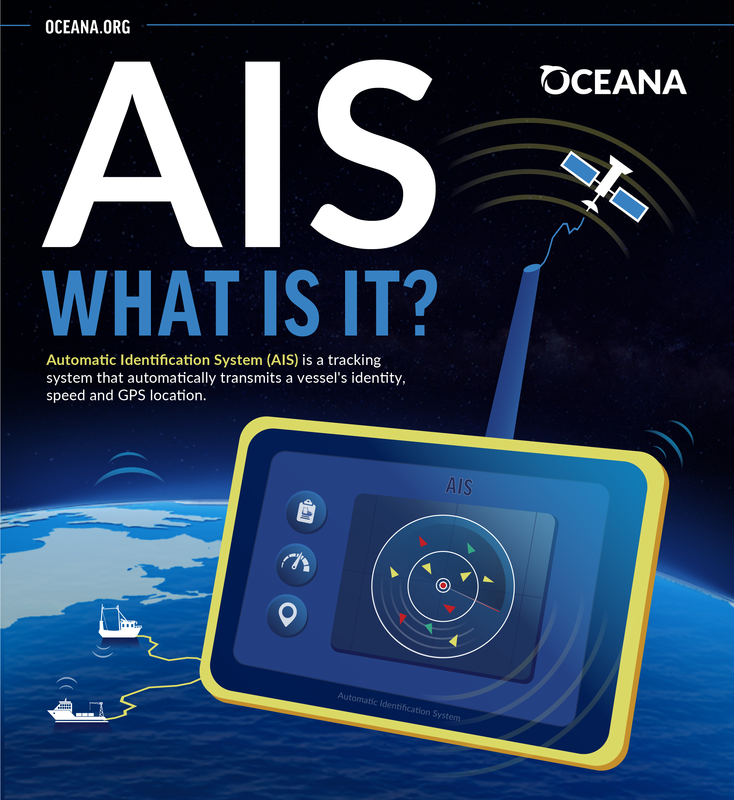 What is AIS used for?